In iOS 10, Apple has opened the floodgates by allowing third-party apps within its stock Messages app. Check out some of the best free ways to animate, coordinate, and add some flair your messages. 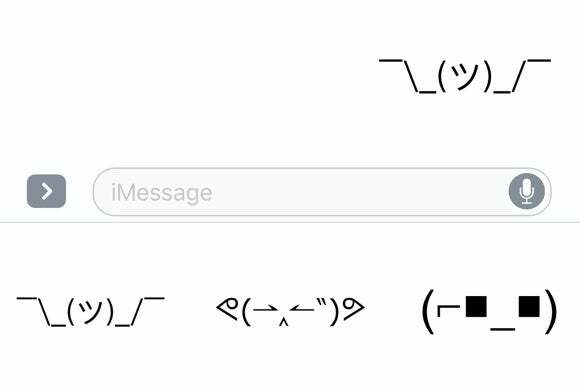 There's an iMessage app for that! With the launch of iOS 10, Apple has opened the floodgates by integrating third-party apps within its stock Messages app—and you can find them all within Apple’s dedicated iMessage App Store. 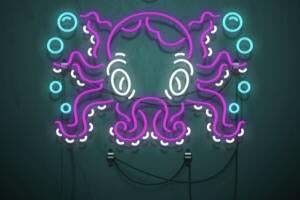 Check out some of the best free ways to animate, coordinate, and add some flair your messages. 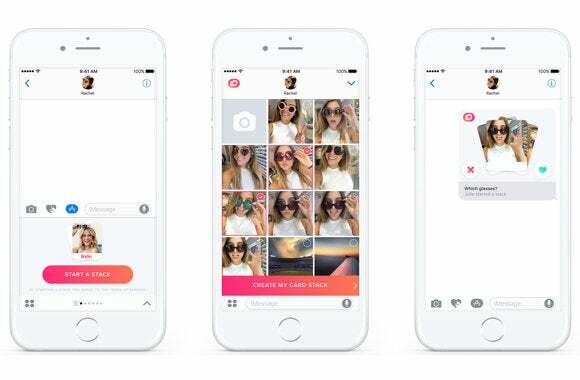 Tinder is bringing it's well-known Left-Swipe-Right-Swipe mechanism to messaging with Tinder Stacks. This new iMessage extension will let you send a stack of images to your friends so they can Left-Swipe or Right-Swipe on them to pick their favorites. You'll need Tinder (free) on your iPhone in order to access Tinder Stacks, however, whether you're single or not. 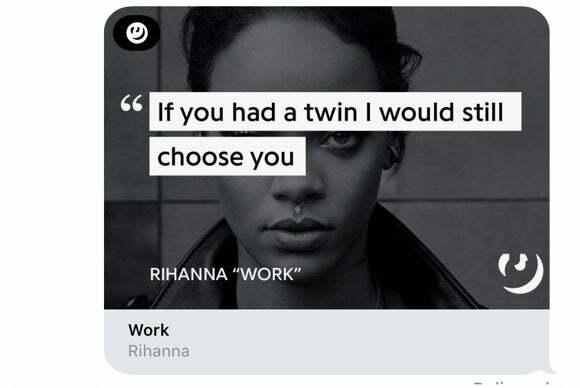 The annotation wizards at Genius (free) have created an iMessage extension to share your favorite song lyrics. Browse through popular song lyrics to share instantly, or create your own shareable graphic by searching and highlighting lyrics from the Genius database. You can even overlay lyrics on photos from your camera roll. 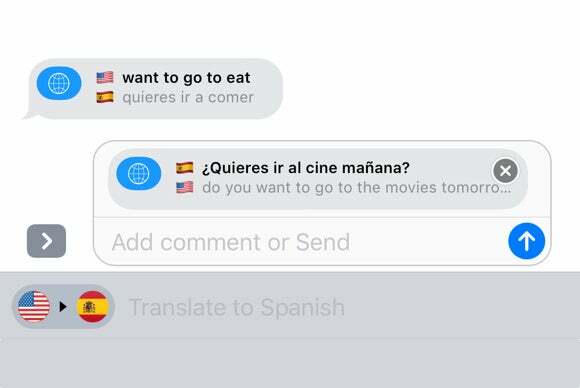 With the new iMessage platform, you can have a conversation with anyone—even if they speak a different language. iTranslate (free) instantly translates your text messages into another language, complete with all the proper grammar. Planning a group getaway can be a pain – especially if you're all trying to get seats on the same flight. 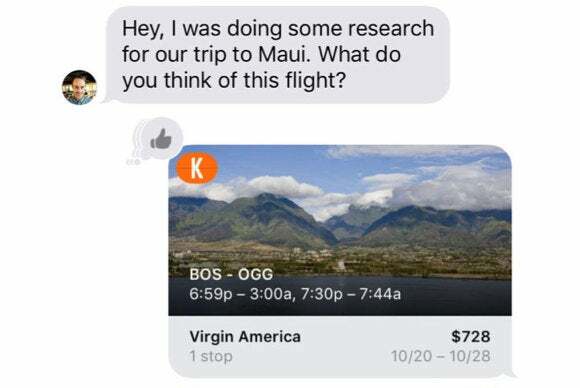 Kayak (free) is making it easier to book a flight with your friends by helping you share flight deals via Messages. 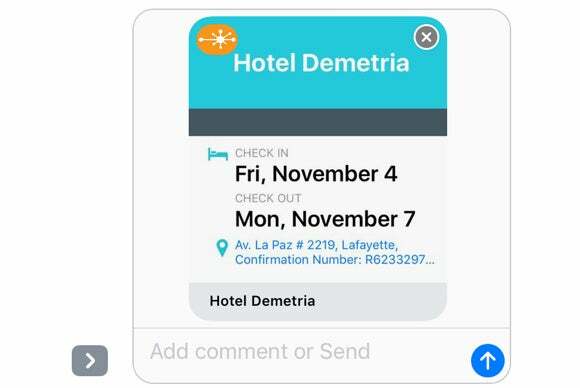 With this iMessage extension, you can search and share flights so that everyone can book instantly. Retro Emoji (free) puts all these classic emoticons right at your fingertips. If you’re fond of digital nostalgia, also check out the Classic Mac sticker pack (free) that was preinstalled with the iOS 10 public beta. 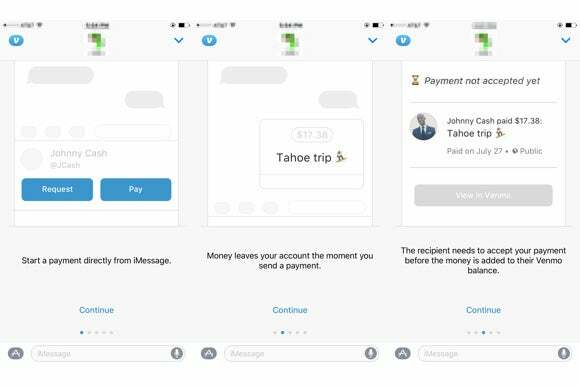 To turn iMessage into a real platform, Apple had to think beyond just simple messaging, which is why the app incorporats other popular services, like peer-to-peer payments. Circle Pay (free) lets you send money to your contacts securely and without having to pay a fee. You can send money in dollars, euros, pounds, or even Bitcoin. 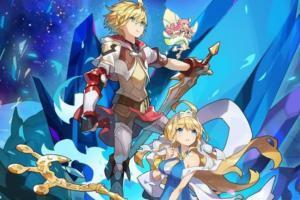 And unlike Square Cash (free), Circle works internationally. 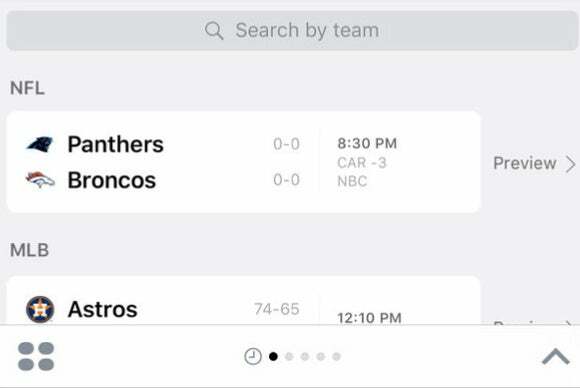 Just in time for football season, ESPN (free) has created an iMessage extension that lets you share scores in real-time from all your favorite teams. 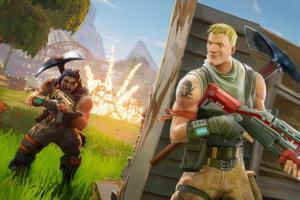 You can also watch game highlights without leaving Messages. 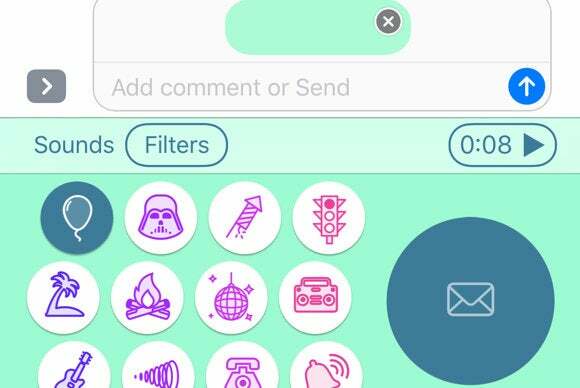 Think of Chatterbird (free) as the Instagram of voice messaging. After you record a memo, you can spruce it up with sound effects and filters. Make your voice sound like Darth Vader, or give it a high-pitch tweak with the helium balloon filter. 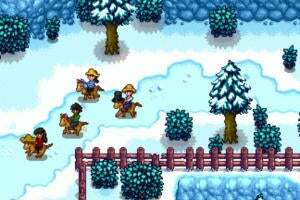 Then, add fireworks or disco music in the background, just for funsies. Finding a good time for a group hang can take lots of back-and-forth texting, so Doodle (free) is here for fast and easy scheduling in your Messages. Pick your availability and send it over to your friends to see if they’re available during those days, too. 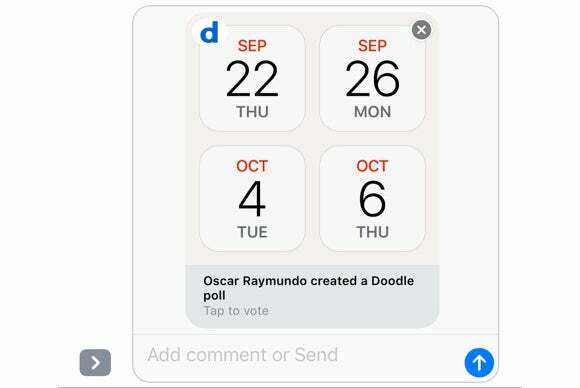 The best thing about Doodle is that your friends don’t have to download the app or sign up for an account to share their availability. For more functionality, like setting up specific times and integrating with your calendar, try Kukutana (free). This iMessage app is more robust, however it does require your contacts to install the app in order to contribute their availability. The folks at Tenor, previously Riffsy, have updated their wildy popular GIF Keyboard (free) with a powerful iMessage extension. 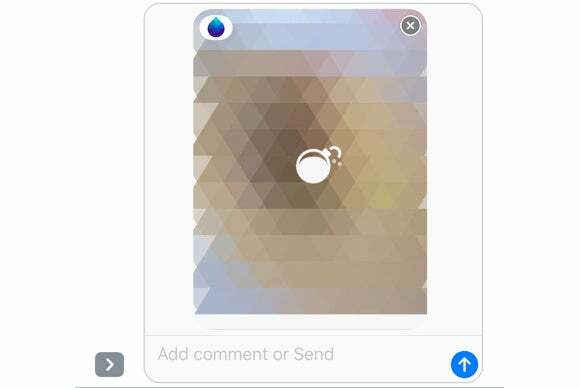 In addition to finding and sharing GIFs, you can use this app to create your own GIFs on the spot by allowing the app to access your camera. 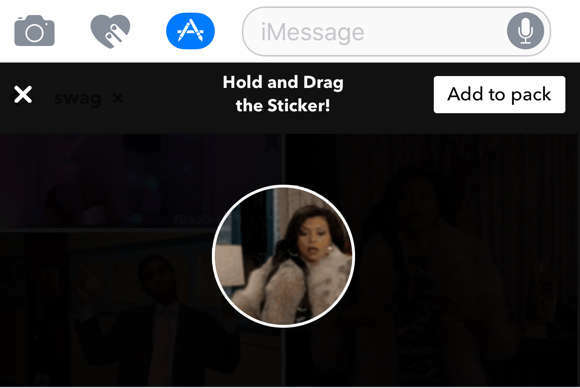 The GIF Keyboard also lets you turn any GIF into a sticker to be plastered over your messages. 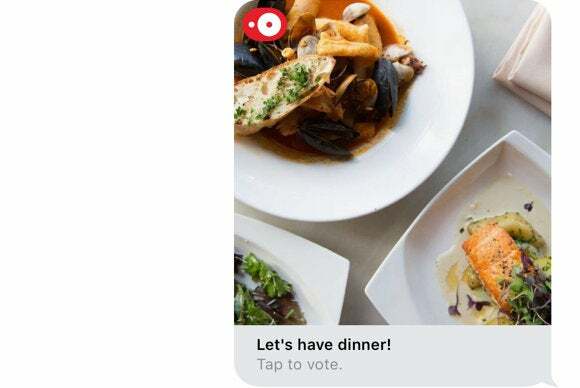 With OpenTable (free), it’s already pretty easy to find and make a dinner reservation, but the iMessage extension makes it even easier. 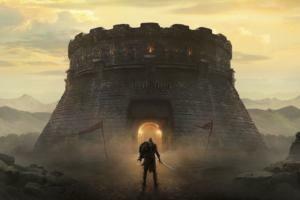 It surfaces a list of restaurants in your area, as well as their availability, so you can consult with your contacts about where to go and make your reservation without ever leaving Messages. 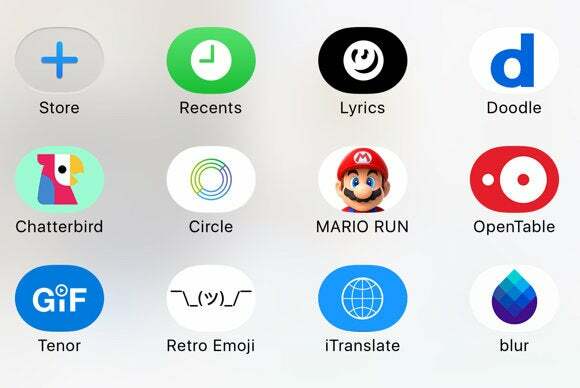 Apple announced that Mario would be coming to the iPhone later this year, but we didn’t expect to see him so soon. 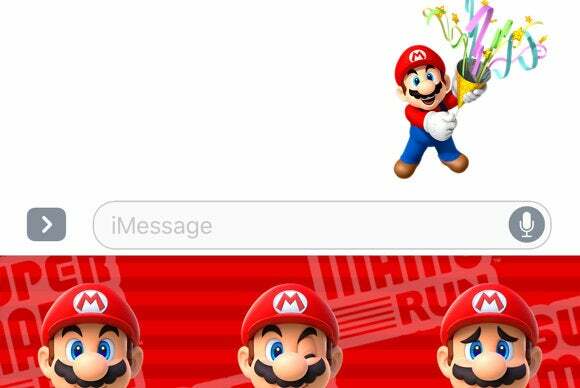 To promote the forthcoming launch of the Super Mario Run for iOS, Nintendo has launched Super Mario Run Stickers for iMessage (free). If you’re more a fan of Disney, Star Wars, or Pokémon, there are stickers based on those characters too, but they all cost $2 per pack. "What time is your flight?" That question has never been as easy to answer as with the new TripIt (free) iMessage extension. The app collects and organizes all your travel documents – from flight indormation to hotel and car rental reservations – and puts them at your fingertips. 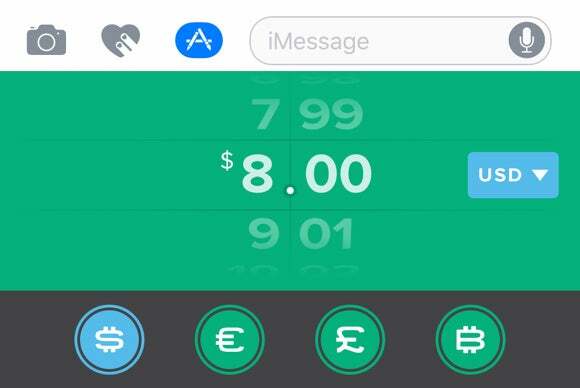 Even though there are already a few payment apps with iMessage extensions, Venmo (free) seems to have the most traction in the U.S. So, bringing Venmo payments to iMessage is a welcomed addition. With this extension, you can pay or get paid from your contacts without leaving Messages.